I built this guitar, in hindtsight, for myself. Newly wedded, my journey from and to the eventual birth of my first child was well on my mind during its construction. Motifs of life and love scatter the instrument starting with the back's "building blocks" that are placed in accordance to the ancient golden ratio. The "engagement ring" rosette, another symbol of love, promise, and foundation, tie the backs woods in with the top as the headstock boasts a "fertility inlay" that includes the life giving symbols of the vase, egg, and root. Appointments- Flame Maple binding and back accents, maple burl rosette and engraft, ebony fingerboard and bridge. 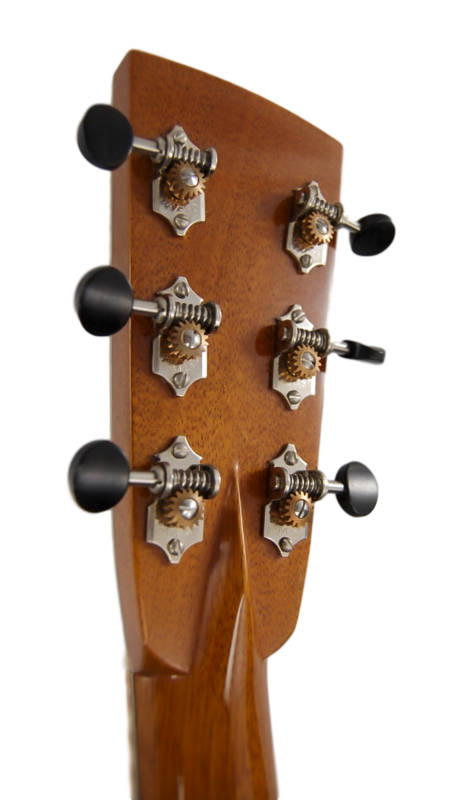 Ebony buttoned Waverly Tuners. "Fertility" headstock inlay, "engagement ring rosette, Copper ribbon heel cap inlay. Appointments - Tuxedo Black top, Aged Toned Boltaron Binding, Indian Rosewood fingerboard and bridge, Ivroid pickguard, strap button, and Waverly tuner buttons. Mother of pearl logo, side and fingerboard dots. 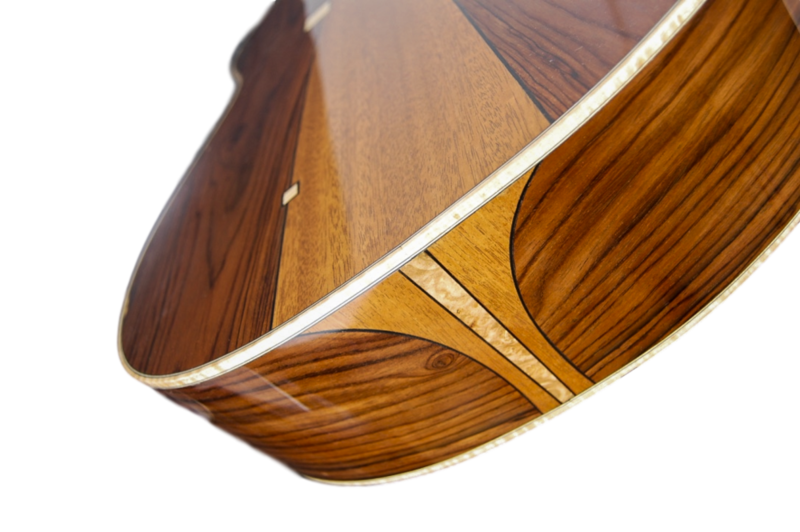 Lattanze Guitars is a full-service repair shop for fretted instruments. Our 4000 square foot facility is designed to meet any of your repair needs while providing a cozy atmosphere for you to peruse the showroom, enjoy an intimate performance, or sit privately with one of our knowledgable instructors. Sign up with your email address to receive offer codes and updates.